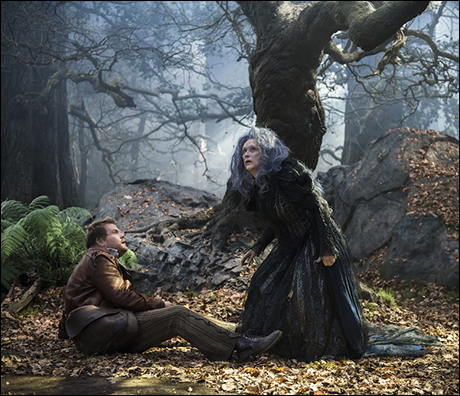 From Cate Blanchett as a maid, to Michael Cera as a drug dealer, to Meryl Streep as a witch, this week’s star-studded top ten is a must-read for any theater lover. 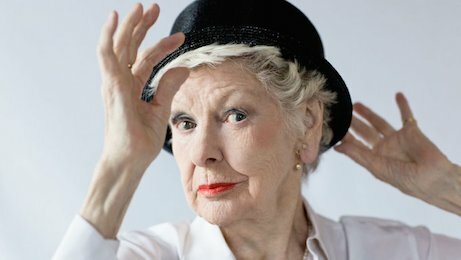 In honor of the legendary Elaine Stritch, who passed away 2 weeks ago at the age of 89, the Metropolitan Room is hosting a star-studded one-night-only concert of songs and story-telling. The event is Thursday, August 7 and features Pia Zadora and Annaleigh Ashford! 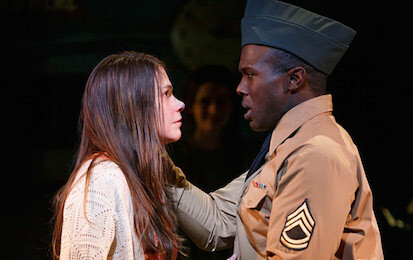 There’s less than a week left to see Tony Award winner Sutton Foster as the title character in Violet on Broadway. Come for Sutton, but stay for Josh Henry. Foster’s co-star is brilliant… not to mention easy on the eyes. Leading the pack of shows that we must see at the Public Theater this season is Lin-Manuel Miranda’s new musical Hamilton. 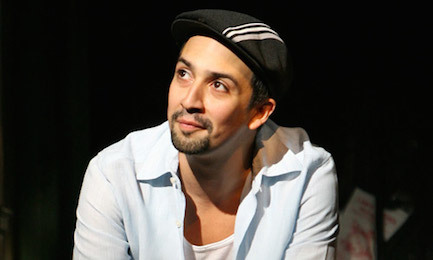 After the massive success of Miranda’s In The Heights, it will be no surprise if his Alexander Hamilton musical moves to Broadway later next year. Last year’s inaugural season at Theatre for a New Audience’s Polonsky Shakespeare Center featured Julie Taymor’s Midsummer. This year, the Fiasco folks – who brought you the mind-blowing 6-person Cymbeline in 2011-2012 – are back with this Shakespearean rom-com. After an initial investment of $2.6 million, Lady Day has officially recouped its money and continues to make a killing at the box office. 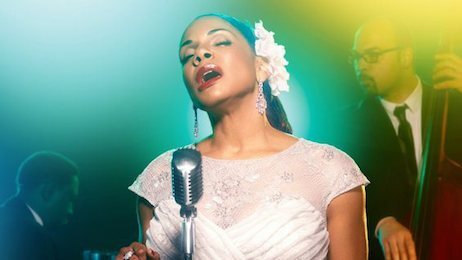 Obviously, this is due entirely to the brilliant performance delivered by the incomparable Audra McDonald, who won her sixth Tony Award this year for her portrayal of Billie Holiday. 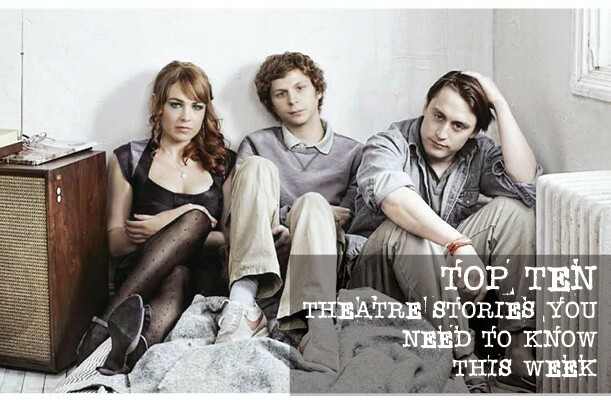 The angsty Kenneth Lonergan teen dramedy This Is Our Youth starts previews at the Cort Theatre on Monday, August 18. Starring Cera and Culkin brother Kieran Culkin as best friends with a serious money (and drug) problem, this show is one of the must-see straight plays to hit the Broadway stage this upcoming season. Meryl Streep, Christine Baranski, Anna Kendrick, Johnny Depp, Chris Pine, Emily Blunt, James Corden, Rob Marshall. ‘Nuff said, right? No? Then you better check out the trailer HERE. NBC announced that Williams will play the iconic role of Peter Pan in the network’s live broadcast later this year. We’re thrilled for Williams and all, but we might just be a little more excited to see wild-card Christopher Walken play Captain Hook on live TV. With his iconic vocal stylings and his often erratic behavior, Walken’s Hook will be a must-see this December. Over 200 shows in 20 venues over 16 days. 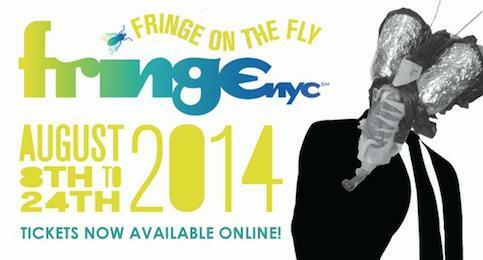 FringeNYC is one of the year’s hottest festivals, boasting comedy, drama, music, dance, sketch, stand-up, opera, improv, performance art, and more. 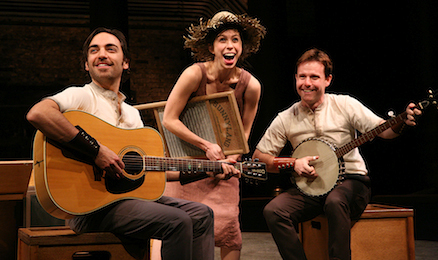 Check back at StagelightMagazine.com next week, as we review some of this year’s must-see Fringe shows, and click HERE for a Fringe Festival preview.